The relationship between land and mineral resources is paradoxical. 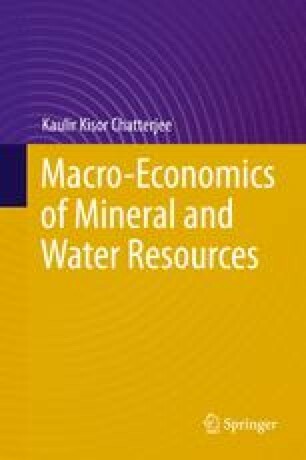 Classical economists have clubbed the two under land resource; thus, at one stroke, refusing to recognize any distinction between the mineral resources on one hand and any other natural resource or man-made commodity on the other. But what is meant by land is its surface and in that sense it is totally different from mineral resource. Firstly, land can be and is divided by boundaries into large and small parcels each of which is associated with individual or collective ownership; secondly, mineral resources are independent of land; and thirdly, land has to be destroyed in order to mine out minerals. Besides, the laws concerning land and minerals have evolved independently.